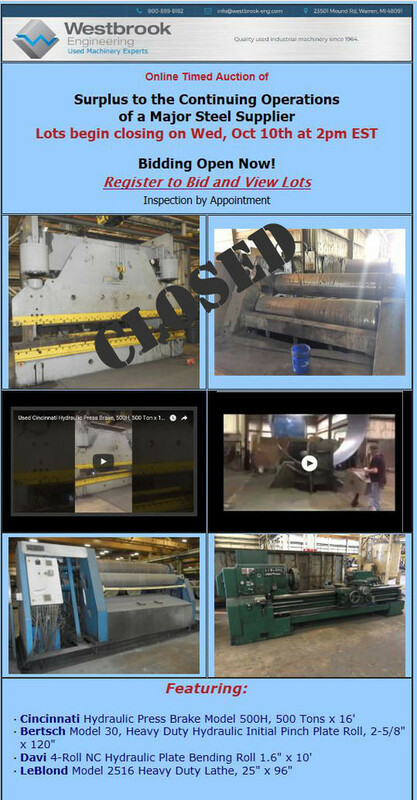 With over 50 years in the metalworking machinery industry, Westbrook Engineering has the knowledge and expertise to turn your surplus and idle assets into cash quickly and painlessly. 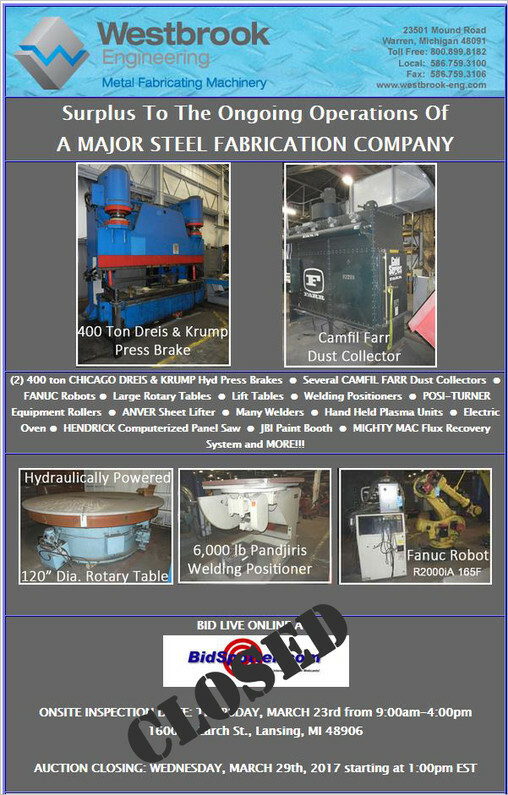 Bertsch Model 30, Heavy Duty Hydraulic Initial Pinch Plate Roll, 2-5/8" x 120"
LeBlond Model 2516 Heavy Duty Lathe, 25" x 96"
MIGHTY MAC Flux Recovery System and MORE!!! Well Maintained Precision Grinding and Support Equipment. 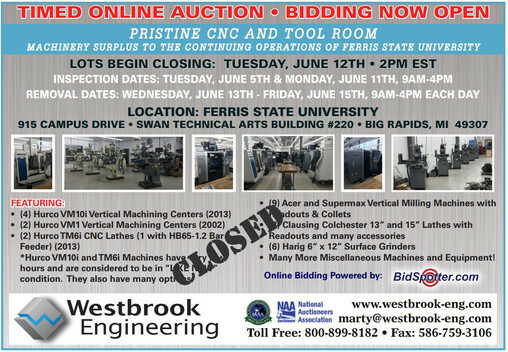 Exceptionally Clean and Well Maintained CNC & Manual Machine Tools, Inspection, Tooling, and Support Equipment. Miscellaneous Gauges, Tooling and much more! 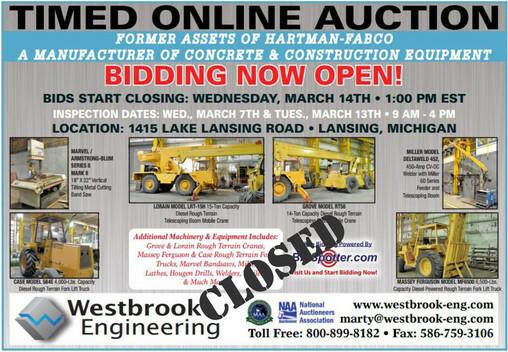 © 2018 Westbrook Engineering, Co., Inc. All rights reserved.